How solar is changing Ghana’s real estate market? How solar is changing Ghana’s real estate market ? If you are involved in the business of constructing a new building in Ghana, whether it’s a logistics center, a manufacturing plant or a multi-family residence in East Legon, most likely installing solar panels was mentioned at some point in the process. Solar panels are being integrated into more and more new constructions, and some cities like Tema and Accra are leading the way. Our research also indicates that there is a high demand for 2-3 bedroom houses and the cost of land and litigation has pushed the direction of real estate developments into apartment complexes rather than single detached or semi detached homes. Rooftop solar is a great investment that can generate hundreds of thousands (if not millions) of dollars and has a return on investment of just 3-5 years. It increases the life of the roof, and the value of the property. Every owner, architect and general contractor should consider how they can integrate solar in their new construction. 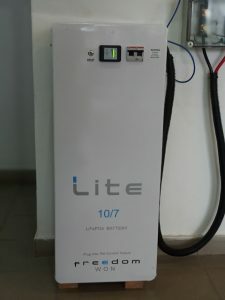 This renewable energy revolution is a global one and many new home owners in Ghana are currently considering going green in their next real estate project, .with an average daily effective sunshine hours of 5.5 hours, Ghana is a great place to go solar. There is generally a hunger for renewable energy options even though many do it for environmental and energy security reasons. 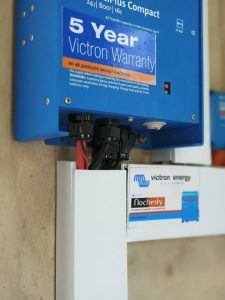 Another school of thought indicates that the rising costs of diesel and the effects of pollution are gradually giving diesel generators an “uncool” or even “savage” tag. How solar is changing Ghana’s real estate market ? But where do you start? Should you integrate solar into new construction or just wait until later? The first thing to note is that adding solar to a new building doesn’t mean you need to redesign the whole building. In fact, only minor adjustments, if any at all, will be needed. However, there are some things to consider that will make the process of switching to solar easier. By planning ahead and integrating solar during construction, you can tap into efficiencies during construction and save money. For example, you should ensure the structural load of the roof can support a solar PV system. Most roofs can support solar without structural reinforcements, but if your current building design can’t support solar, you want to catch this early on before you begin construction. You can also integrate solar into your building design, saving money by making the solar installation process more efficient. A few examples of this include strategic designs that may consider ventilation, insulation and air conditioning units, and integrating the solar system’s electrical wiring and equipment into your building design. This type of planning will lower your overall cost of solar installation whilst adding an energy efficient tag to the project. The last thing to consider is that installing solar during construction minimizes the disruption to your operations. Once your building is operational, installing solar will have minimal impact on your day-to-day work, but it is always better to complete the installation before people are in the building. 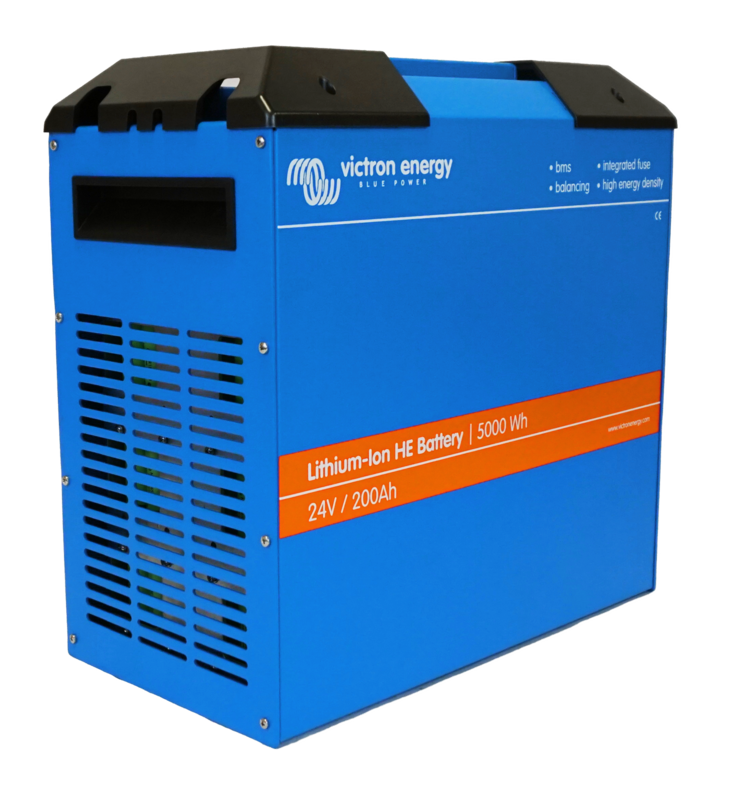 That way, you will be producing clean energy and saving money from day one. How solar is changing Ghana’s real estate market? Thousands of companies install solar after the building is complete, but some forward thinking can make your solar installation cheaper and more efficient. The process of transitioning to solar can be daunting. 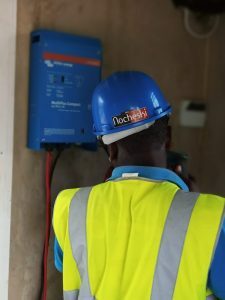 As the CEO of Royal Estates Group, Mr. Stanley Owusu shared regarding the company’s recent transition to solar panels, “I couldn’t make heads or tails of it.” They turned to a Nocheski solar to help them navigate the design process, solar installation.The result is the installation of several Victron multiplus inverters in Oasis estates projects.The evidence is clear that whether you’re a business owner or a commercial real estate developer, solar is an excellent investment opportunity. 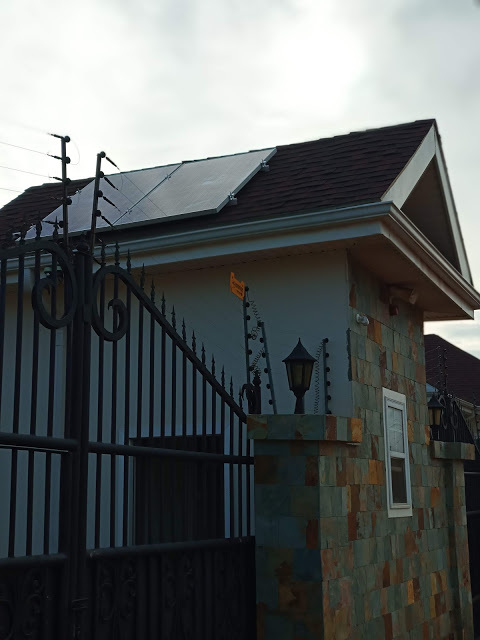 Integrating solar into a building during construction only gives an added boost to the economics.Real estate stakeholders such as architects, builders and homeowners may contact us on 0244270092 or email [email protected] for inquiries and how they may benefit from expert advice for prospective real estate projects.